I had lunch with an old friend today. The last time we had seen each other was over a year ago, in the Scottish Highlands when, had he not pacified me with some rather excellent whisky during our evening meet up at Glen Affric hostel, we came very close to falling out. Why? Read on. 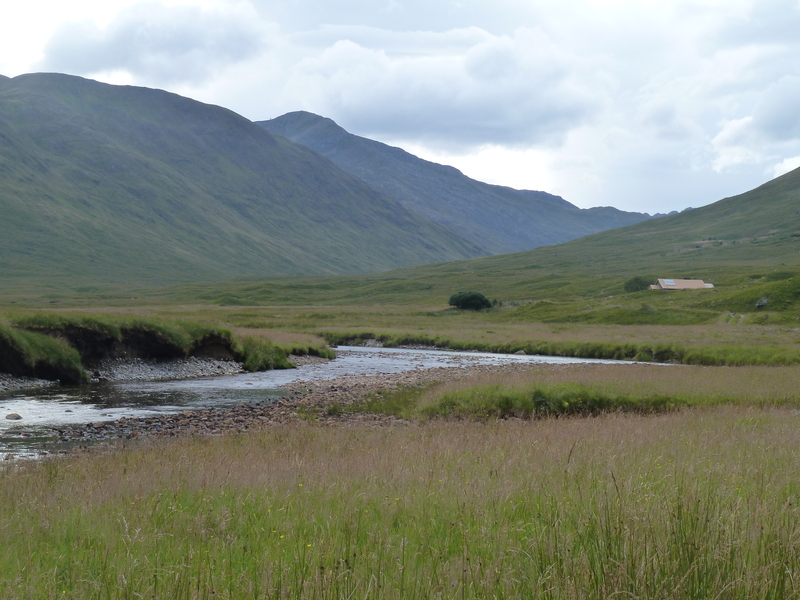 August 13th 2012 I was in the middle of a tour of the Highlands. I was trying to include a few off road routes on my journey, but not excessively rough, technical routes as my bike isn’t really built for that. Nor do I have the strength to haul full camping kit through some of the tougher routes. 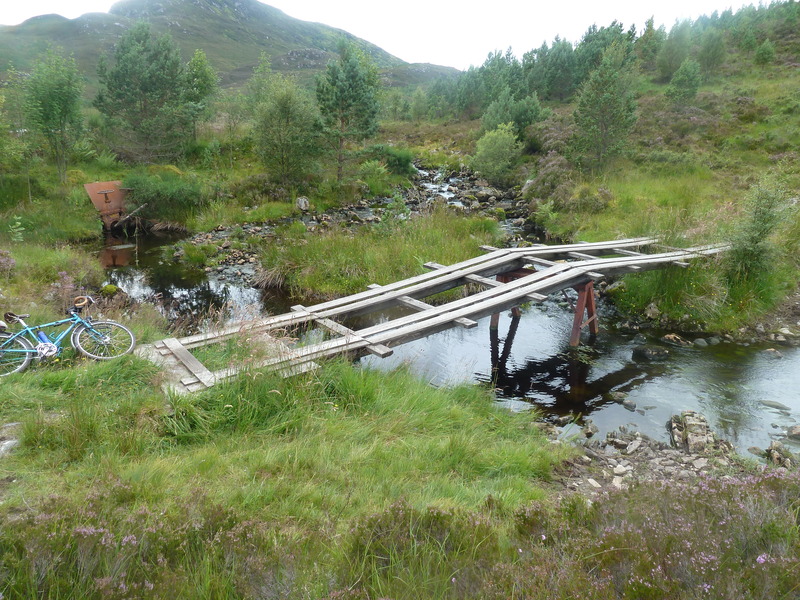 I had already ridden around Aviemore through the Ryvoan Pass, which I had enjoyed, although it did take me ages. 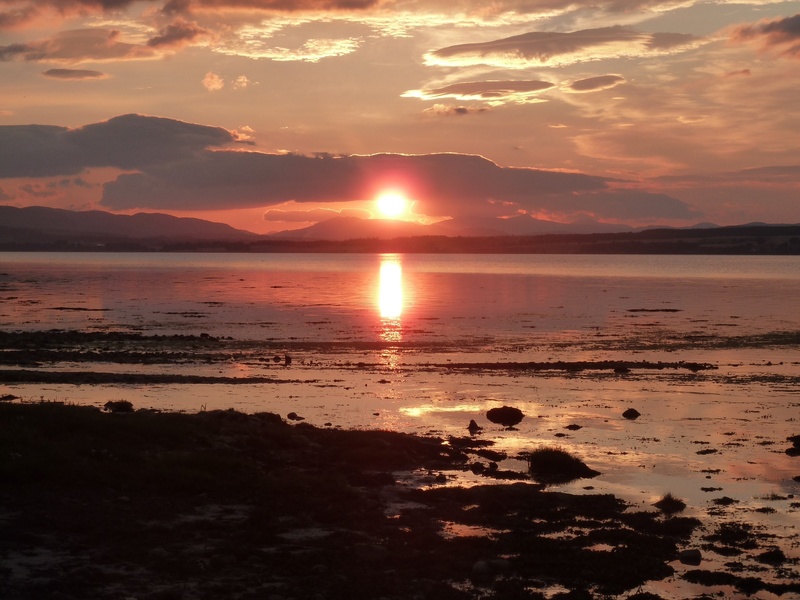 Then I had headed north to Inverness, spent a night camping on the Beauly Firth, where the sunset had been magnificent and from there down to Cannich. My plan was to pitch a tent on the campsite in the village, leave it with the majority of my kit and then head up to Loch Affric with just a sleeping bag, a bit of food and a change of clothes, for a couple of days. 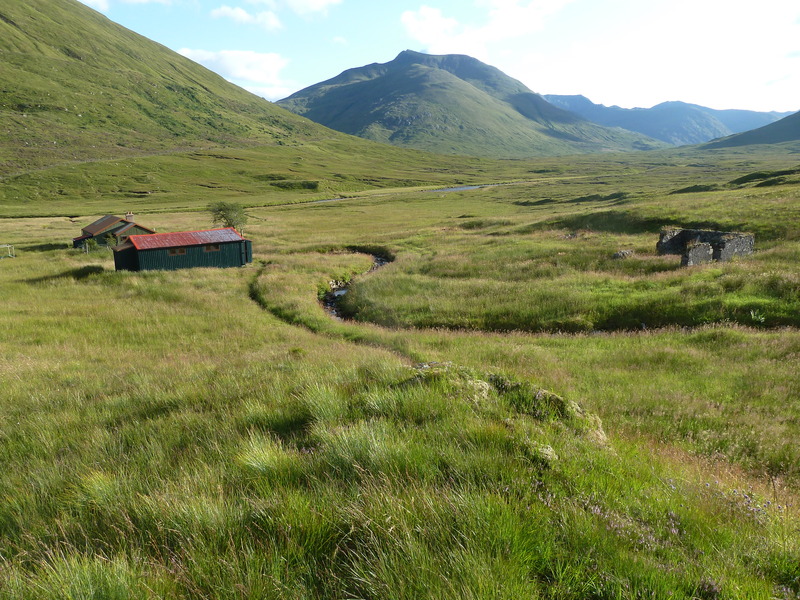 I was last in Affric nearly 30 years ago, hillwalking and have walked right through it, camped up in it, but never stayed at the hostel there or ridden through it. Which you can do. Allegedly. However, looking at the map, I could see that a ride straight through was not really on. 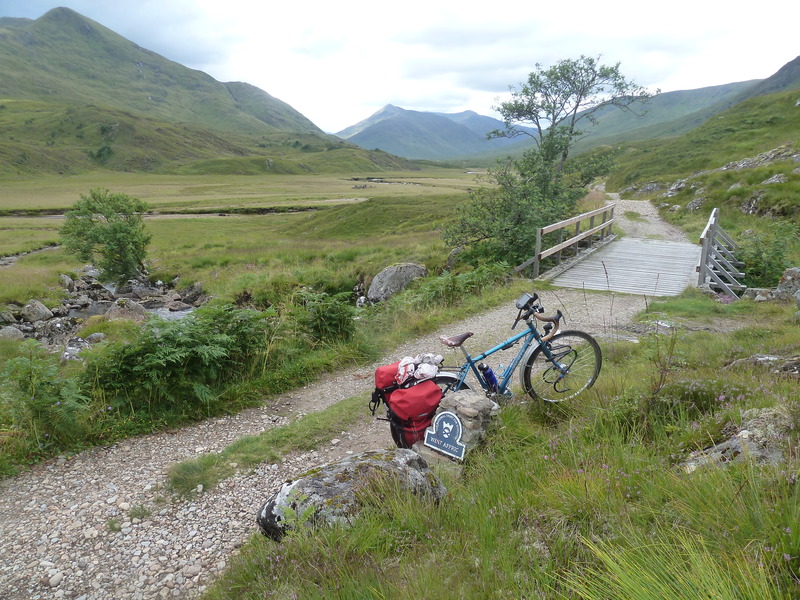 I would have to take all my kit and would never manage to get a fully loaded bike all the way from Cannich to Morvich. 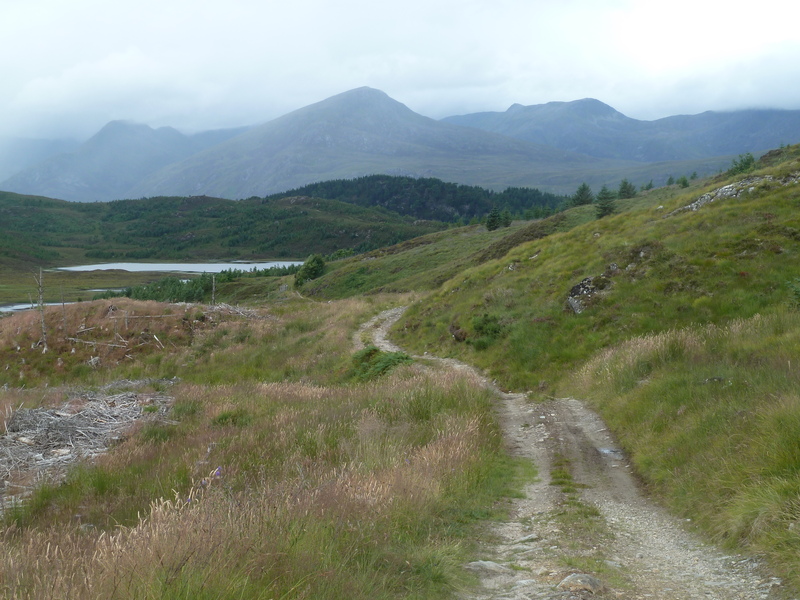 But the ride in from Cannich with the minimum of kit looked doable and then a ride back out. So far so good. And a couple of friends were walking into the hostel from Morvich, the other side, to do a few hills. So all looked set for a pleasant rendezvous following one of Britain’s most spectacular off road routes. Then, one of these friends, a keen mountain biker, suggested a way of making my ride a circular rather than a straight out and back. I looked at his suggestion on the map and, when he rang me later, said it looked a bit tough. “No, you can manage it”, he said. “Mostly good forest track, 4.5 km of stuff that’s a bit technical, and a steep path downhill for just a kilometre which you will have to walk.” OK . I knew I would also have to walk a lot the last bit of path to the hostel, if it was anything like my memory of it. But, hey, the day dawned beautifully sunny, and I was up early so had all day to do the 30 miles, with maybe time for a little hill walk at the end. What could go wrong? Well, first, I obviously don’t speak off road. 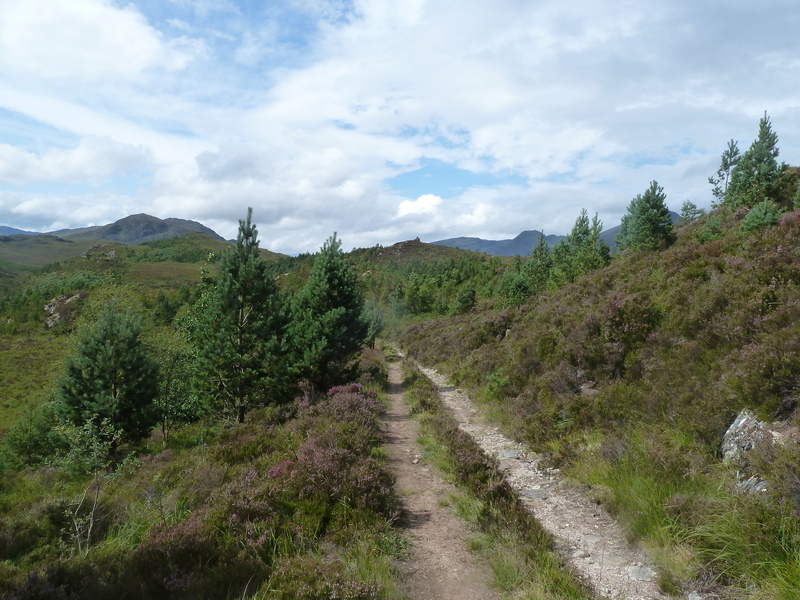 “Good forest track” means very rough, bumpy and rocky. Rideable, OK, yes, but tiring. Then, “4.5 km of technical stuff” means 4.5 km that nobody could ride unless they had a complete death wish and were a total adrenalin junkie. And a “steep downhill you have to walk” means a narrow footpath that is almost vertical leading to a river, where the only possible way to get a bike down it is to throw it ( remembering to let go first) and then follow. It began fine. 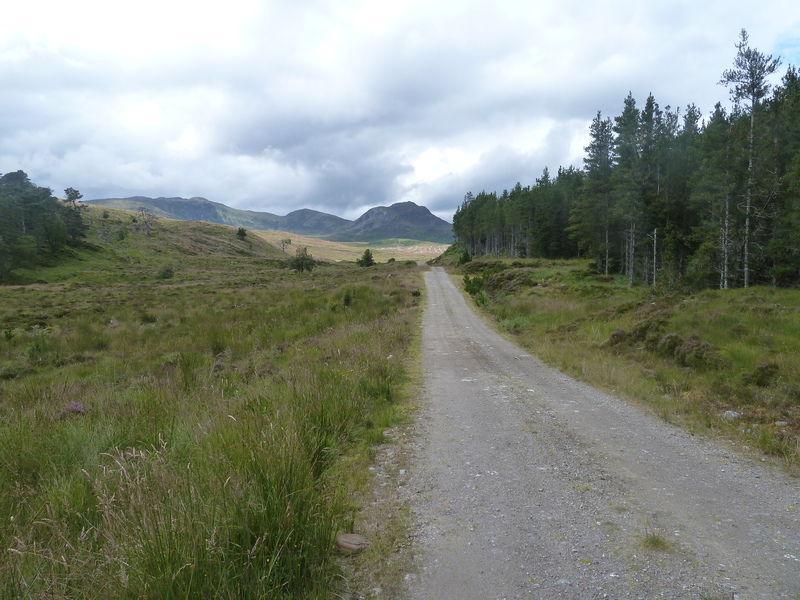 Road from Cannich to the little village of Tomich. Lots of baby frogs trying to cross the road here. Then on to Cougie, where the road was more of a track. Tough, but fine. I took a wrong turn at one point, and rode 3 or 4 miles down the wrong track and had to ride back up, but it was firm enough surface and a lovely day and the original route was only about 25 miles or so, no problem. I had a song in my heart and was ready to fall in love with offroading in this lovely countryside. Then as I left the forest track at Cougie, the path got steeper and narrower, till the only option was to get off and push. A lot. The surface was like this on the flatter bits The upside was, the surroundings were magnificent. Views of wide glens and massive mountains all around. 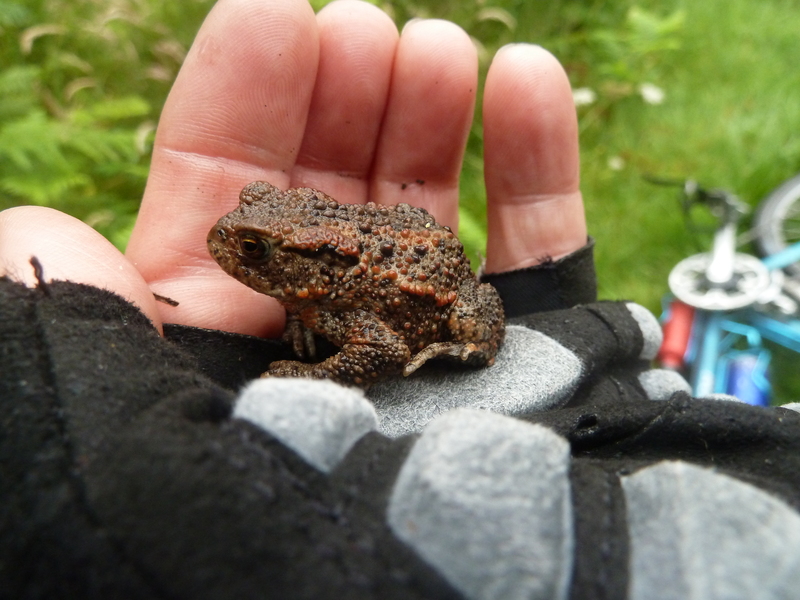 Dragonflies, toads, butterflies, everywhere. And the weather still lovely. Then at the top of the climb, after a picnic stop in glorious sunshine, looking down at the glens below and mountains towering above and feeling absolutely whacked already, there was a sign pointing down to Glen Affric. The path went down, narrowly, steeply and very rough and slippery. At one point, I was descending a bit of very steep path, for once with a bit of confidence, so I would be able to get up the steep ascent in front of me, when I noticed the reason for the sudden sharp dip. A stream. And the crossing was this. Cue as much braking power as I could muster and luckily I managed to screech to a sliding, skidding halt without falling off, or in the water. A few times, after this, I just had to let the bike go with a whispered prayer for its safety. The Allt Garbh was a large, deep, fast flowing stream with a bed of large slippery rocks which had to be crossed at some point. 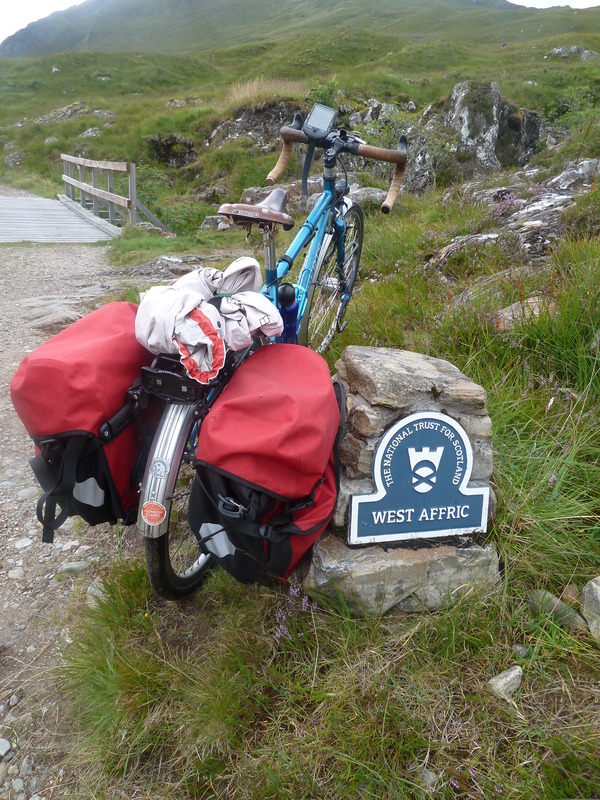 My mate had advised crossing further down than the OS map showed, taking a path eastwards a bit, as the river crossing would be easier there with a bike. I followed the very narrow, extraordinarily steep path, again barely holding on to my balance and sometimes losing the bike. Then the path he had advised just stopped. Dead. In a bog. I looked at the GPS. Which didn’t seem to show me being anywhere like where I was. So I got out my map. The river was supposed to be directly to my left and I was supposed to be standing on the path. But it wasn’t and I wasn’t. What I should have done was go back up the path to the point where I had last known exactly where I was. 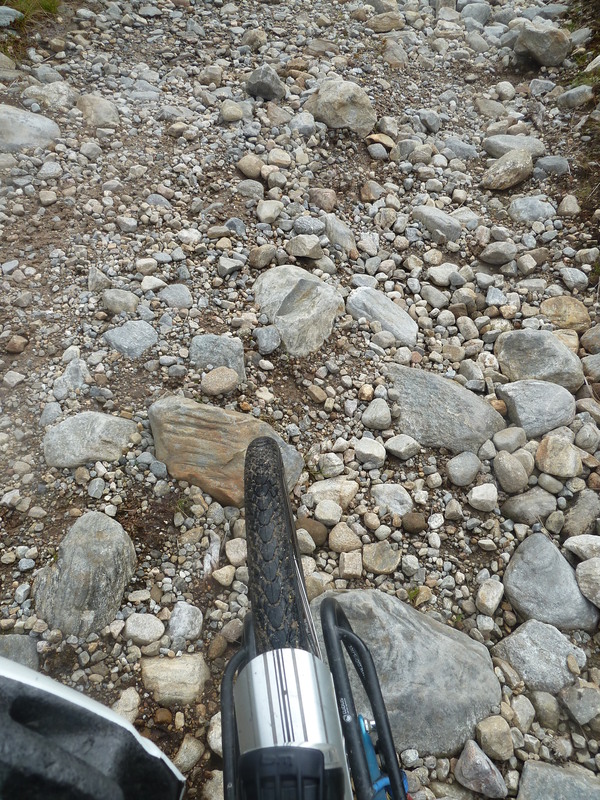 But it was so steep and narrow, and I was so tired, I didn’t see how I could ever get the bike back up. So I decided to use the map and get to the river. 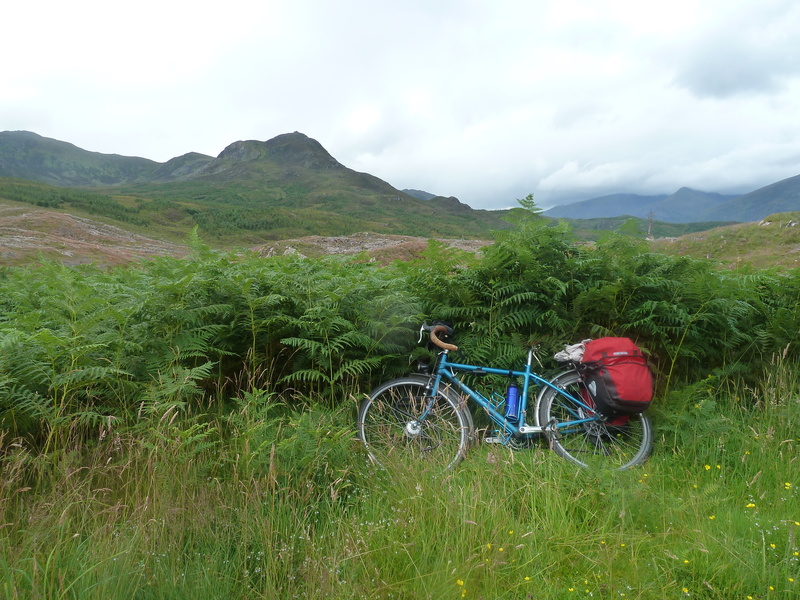 Have you ever tried dragging a bike, with two half loaded panniers through heather and bog. No? Then, don’t. Ever. Yes? You are possibly as foolish as me, and as complete a nut job as my mate. I could no longer even hear the river. All I could see were scots pines, heather and midges. I got out my map and compass and began to work out that I was only about half a kilometre from the track I had been heading for. I just had to get through the heather bog. That’s all. At one point I lay down, in a huge cloud of midges and prayed they would eat me. It would have been preferable. Then, I decided to leave the bike, see if I could find the track then come back and get it. Without the bike, I could use the map and compass properly and within ten minutes, there it was. Just across the river. Went back, grabbed the bike with a surge of energy that hope of salvation can often bring and finally emerged out of the heather, bracken and bog, covered in twigs, bits of fern, sprigs of heather and about a million dead midges, and threw the bike onto the track, to the complete amazement of two German backpackers, hopped on it, wished them good afternoon and rode off as if I had just done the most perfectly normal thing in the world. For about a couple of miles, the track was rideable, if tough. Then, when it reaches the quaintly named Strawberry Cottage, it turns right, turns up and becomes a rough footpath, of barely rideable stuff mixed with patches of big bouldery stuff, and occasional large peaty puddles. I could have ridden more of it than I did, had I not been exhausted by the last 28 miles. Then, suddenly, you turn a corner and see the roof of the hostel.